As we all know, Nick Whigham and friends went for a bit of a walk this summer and these were his highlights. 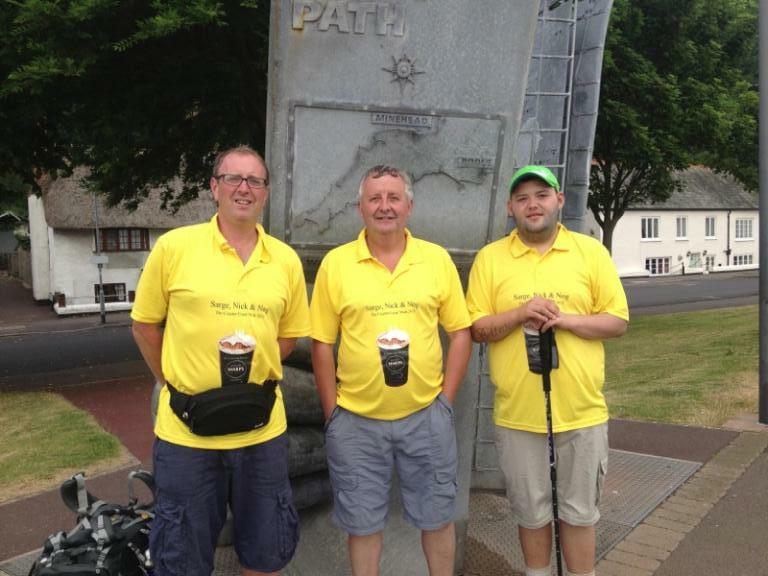 “In the heat of July the three of us set off on our 633 mile charity walk which took us the whole length of the South West Coast Path from Minehead to Pool Harbour. No one could have prepared us for the brutal north coast. We ran out of water on a couple of occasions, not good for Nick! The north coast is rugged but not hugely attractive. The coombes are very steep, so many steps to get up and down. We were rescued on a couple of occasions by Mike Balfour, Steve and Marina Harvey who brought us food and liquid between Hartland Quay and Bude – great to see them all. 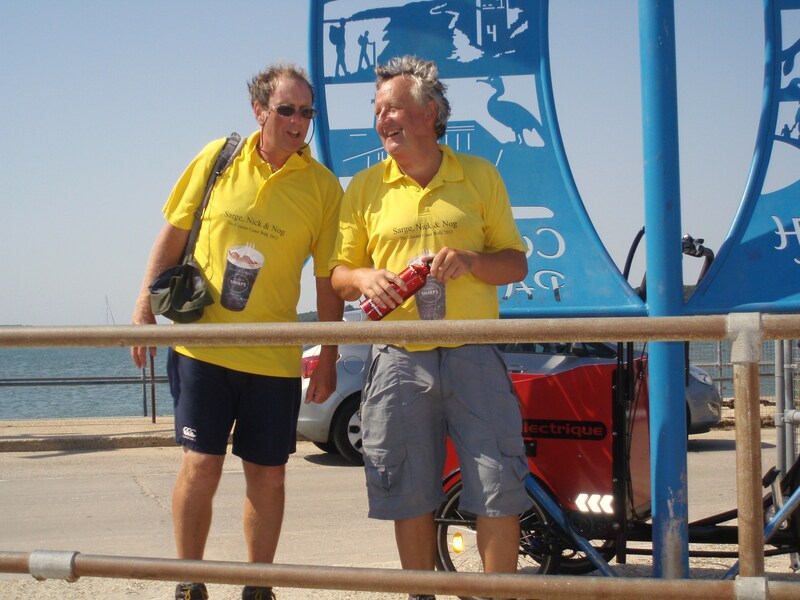 Adrian Ballard came down to Padstow and walked to Newquay with us. It was great to see friendly faces en route. Nick came back when we got to Lands End as he had to have tests and sadly they wanted to keep him back in Sherborne for further tests. The south coast is more forgiving and prettier with more fishing villages dotted about. You also know that you are on your way home which is a relief after so long away (39 days in total). The weather was kind to us (after the initial heatwave), only 7 days with any rain. The worst day was going over Golden Cap. We were relieved and also a little sad when we finished our trek but it was great to see our families again. Sharp’s sponsored our accommodation around the coast which was superb and so far we have raised over £4500 for St Margaret’s Hospice and Kidney Research UK. Well done Nick, we look forward to hearing more about it at a club meeting soon.